Last Tuesday’s Common Council meeting was business as usual “from the top,” as Council President Darius Pridgen puts it. Few spectators peppered the standers. Councilmember Joe Golombek leaned back in his chair, scrolling through his phone intermittently throughout the meeting. The agenda covered 116 items, all of which were passed over in 30 minutes. The Common Council sent a Local Waterfront Revitalization Program to the legislature, where efforts have been made to create a program since the 1980s. The Council further lifted the moratorium on the sale of select, city-owned properties in the Fruit Belt in preparation for the sale of multiple lots on St. Paul and one lot on Ellicott Street. Debate was limited. But, the longest argument, and—almost ironically—the most entertaining, was for public access television. Spectrum recently decided to move the public access channels, formerly channels 18-22, to several channels in the 1300s. Councilman Richard Fontana, representing the Lovejoy district, presented a resolution declaring the Common Council’s “dissatisfaction with the lack of public outreach conducted prior to moving” the government channel numbers and calling on Spectrum to reverse its decision to move the public access channels. Public access, part of the Public, Education and Government Access Program, provides educational content and access to government meetings open to the public in an effort to provide transparency and equal opportunity in participation. Fontana’s argument for a resolution to return public access won the unanimous support of the Common Council. Fontana argued the switch impedes democracy and citizens’ right to participate. He further stated the push of public access to what he referred to as television “Siberia” lessens government transparency. “Some people complain about a dark government, and we’ve tried our best to be the most transparent government around in all ways,” Pridgen said. The switch occurred under a “cloak of secrecy,” Fontana continued. Spectrum met with the Common Council late in the day and presented the idea, including public support for the move. And, there was no system to notify citizens of the change. Pridgen is suspicious of Spectrum’s motives. The Council met with Spectrum to discuss high cable costs and customer service. 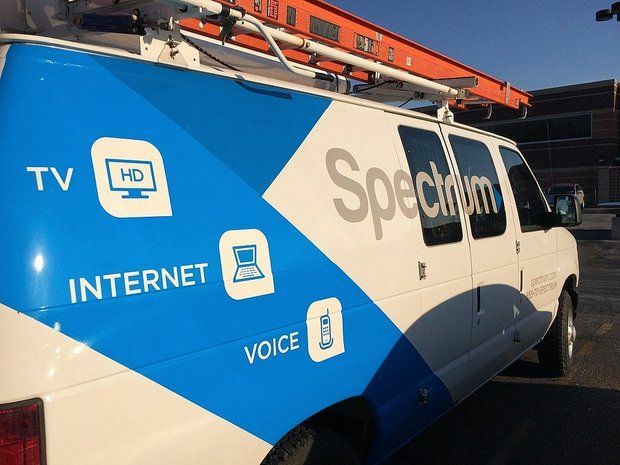 Following the Council’s advocacy for lower prices, Spectrum decided to move public access. Fontana further argued nobody will watch local government programming anymore because they will no longer stumble upon public access while channel surfing, indirectly indicating purposeful viewership is already low. The local government channel was replaced with a cooking channel.